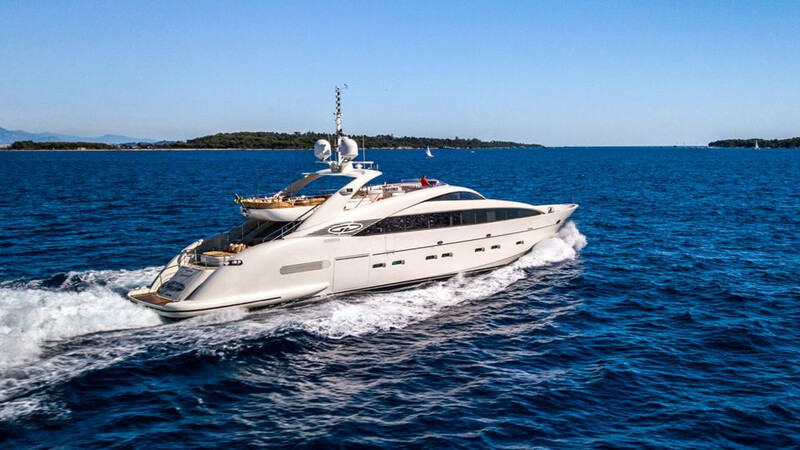 The 36.45 metre motor yacht Gemini designed by Andrea Valicelli, Gemini was built in GRP by Italian yard ISA to RINA class and delivered in 2007 with the same owner since new. A luxurious interior by Cristiano Gatto in neutral tones and dark wood cabinetry accommodates eight guests in four cabins comprising a full beam master suite on the main deck and three doubles. All guest cabins have entertainment centres, television screens and en-suite bathroom. She speeds her guests between destinations at up to 32 knots powered by triple 2,400hp MTU diesel engines linked to three KaMeWa water jets. Lying in the South of France, Gemini is asking €3,500,000.